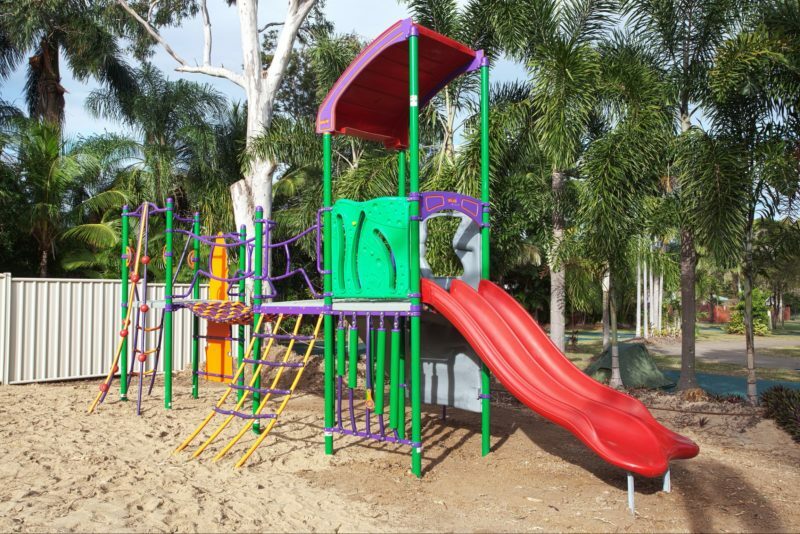 Welcome to Discovery Parks – Rockhampton (formerly known as Big4 Discovery Parks – Rockhampton) on the Tropic of Capricorn in Central Queensland: 10 acres of landscaped gardens, views of majestic Mount Archer and 300 days of sunshine per year. The park now hosts a new Waterpark that offers 365 days of fun with a splash pad for the smaller children. The fun doesn’t end there with a jumping pillow, playground, two pools, half tennis court and pedal karts for hire. The Holiday park has 91 Cabins/Rooms and the 91 sites with including drive thru’s. The park has a dump point and camp kitchens/barbecues and has a new bike repair station. This three bedroom apartment truly is paradise. 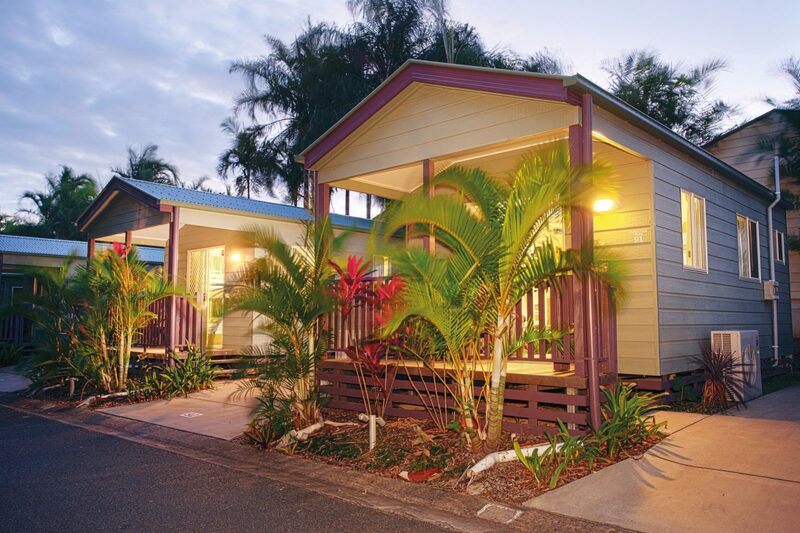 Relax and enjoy spacious accommodation, full kitchen, huge deck, and air-conditioning in every room – just perfect. This accommodation has a Queen Bed in the main bedroom, two Single Beds in the second bedroom and double bunks in third bedroom. Linen is fully provided. Other facilities include air-conditioning (reverse-cycle heating and cooling), full kitchen with dishwasher, electric stove, oven, microwave, full size fridge, kettle and toaster, cookware, cooking utensils and cutlery, dining area and separate living area with sofa, LCD television/DVD player, bathroom with spa, shower and separate toilet, washing machine, iron/ironing board and a balcony with a barbecue and outdoor setting. This apartment truly is paradise. 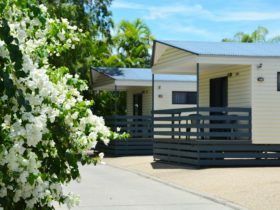 Relax and enjoy spacious accommodation, full kitchen, huge deck, and air-conditioning in every room – just perfect. 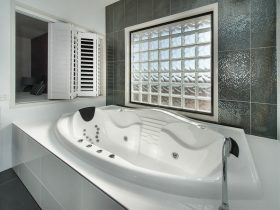 One cabin has been specially designed with disabled access in this Paradise Apartment style. This accommodation has a Queen Bed in the main bedroom, two Single Beds in the second bedroom and double bunks in the third bedroom. Linen is fully provided. Other facilities include air-conditioning (reverse-cycle heating and cooling), full kitchen with dishwasher, electric stove, oven, microwave, full size fridge, kettle and toaster, cookware, cooking utensils and cutlery, dining area and separate living area with sofa, LCD television/DVD player, bathroom with walk-in shower and separate toilet, washing machine, iron/ironing board and a balcony with a barbecue and outdoor setting. A one bedroom villa built just for two – the ultimate in comfort and luxury. 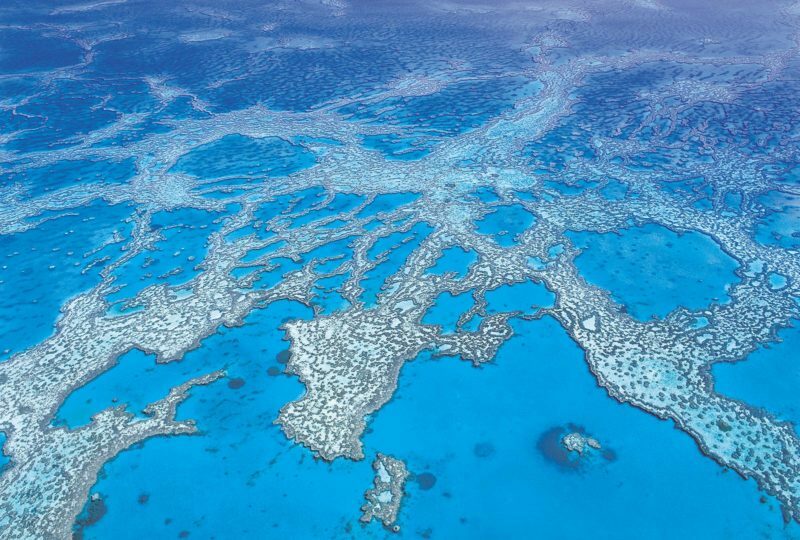 Full kitchen (stove top, no oven) and air-conditioning. Treat yourselves to precious time together. There is a Queen Bed in the bedroom with linen fully provided. Other facilities include air-conditioning (reverse-cycle heating and cooling), full kitchen with electric stove top (no oven), microwave, full size fridge, kettle and toaster, cookware, cooking utensils and cutlery, dining area and separate living area with sofa, LCD television/DVD player, bathroom with toilet, iron/ironing board and a balcony. There is a Queen Bed in the main bedroom and two Single Beds in the second bedroom with linen fully provided. Other facilities include air-conditioning (reverse-cycle heating and cooling), full kitchen with electric stove, oven, microwave, full size fridge, kettle and toaster, cookware, cooking utensils and cutlery, dining area and separate living area with sofa, LCD television/DVD player, bathroom with toilet, iron/ironing board and a balcony. Perfect holiday accommodation for a family of four. All the basics you need – and a balcony to watch the world go by. The villa has an open plan with a Queen Bed and Single Bunks (linen is fully provided). Other facilities include air-conditioning, kitchenette with gas stove, microwave, full size fridge, kettle and toaster, cookware, cooking utensils and cutlery, open space living with LCD television, bathroom with toilet, iron/ironing board and a balcony. Nestled amongst their copious palm trees, this villa is your home away from home in the tropics. Sleeps six and is ideal for larger families and groups. There is a Queen Bed in the main bedroom and Double Bunks in the second bedroom with all linen fully provided. Other facilities include air-conditioning (reverse-cycle heating and cooling), kitchen with electric stove top, microwave, full size fridge, kettle and toaster, cookware, cooking utensils and cutlery, dining area and separate living area with sofa, LCD television/DVD player, bathroom with toilet, iron/ironing board and a balcony. Retreat to your own private garden to rest and revive. 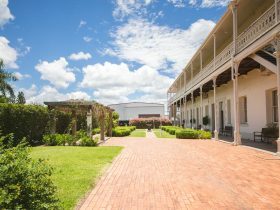 This accommodation has one bedroom with a Queen Bed, a Single Bed in the living area and single bunks in the bedroom and linen is fully provided. Other facilities include air-conditioning, kitchen with hotplates, microwave, bar size fridge, kettle and toaster, crockery and cutlery, open space living with LCD television, bathroom with toilet, iron/ironing board and a balcony with an outdoor setting and private garden. 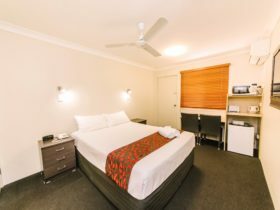 This accommodation has an open plan with Queen Bed and Single Bunks (linen is fully provided), air-conditioning (reverse-cycle heating and cooling), kitchen with electric stove, microwave, full size fridge, kettle and toaster, cookware, cooking utensils and cutlery, open space living with LCD television, bathroom with toilet, iron/ironing board and a balcony. 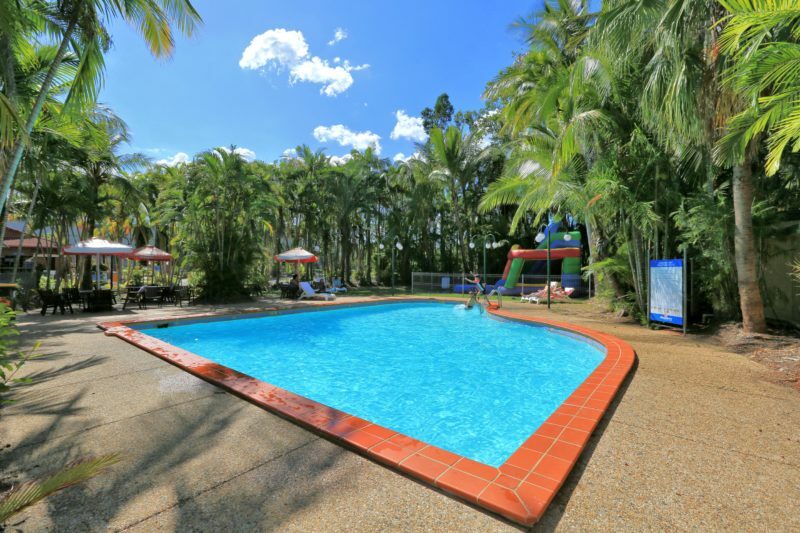 Good value, basic family accommodation for your tropical holiday. Comfortable and affordable living space to sleep four. Back patio with access to their stunning gardens. 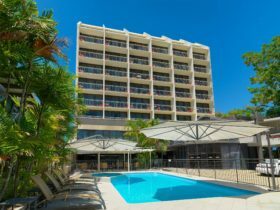 This unit has an open plan with a Queen Bed and two Single Beds (linen is fully provided), air-conditioning (reverse-cycle heating and cooling), kitchenette with bar size fridge, microwave, kettle and toaster, open space living with LCD television, bathroom with toilet, iron/ironing board and a balcony. This unit has an open plan with a Queen Bed and linen is fully provided. 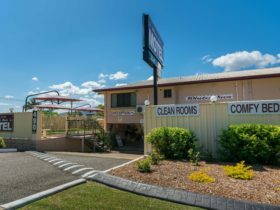 Other facilities include air-conditioning, open space living with work desk, LCD television, bar fridge, microwave, kettle and toaster, bathroom with toilet and iron/ironing board. Stay with them and you’ll experience a true taste of the tropics. Set in 10 acres of landscaped gardens, their caravan and camp sites are outstanding. All sites elevated above the roadways for excellent drainage. All sites are nine metres minimum in length to accommodate different vehicles. Each caravan site has an individual sullage point and water taps, concrete tracks, annex pad and car tracks. Powered sites can accommodate campers requiring electricity.